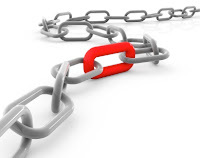 Many people consider quality to be of a paramount importance and, for all I care I like what John Ruskin had to say: "Quality is never an accident. It is always the result of intelligent effort". For this reason I like to work on things that connect Wikidata items. It is very much the "steps of separation". At the Wikipedia awards & prizes project people are interested in cooperating on awards in Wikidata. 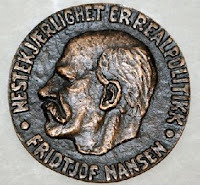 We agreed that I would make the Nansen Refugee Award an example of what can be done. The starting point is the article. The wiki links enabled me to import information using the Linked Items tool. I did this on two Wikipedias, French and English. After this I was left with a number of red links. In Wikidata I started added dates to the award and nationalities. All this improved the information as seen in Reasonator significantly. I had to curate two items because two American Football players were incorrectly identified as a recipient of the award. As I searched for "red links" in Wikidata, I found one Wikipedia redirect and added information for Princess Princep Shah of Nepal. Arguably she is notable enough for her own article. When I could not find an item, I added an item for the missing person or organisation. PS I wish Bassel was a refugee, it would be safe to discriminate him but he would be alive and well.